Broad compatibility. Equipped with the advanced Bluetooth 3.0 technology. Compatible with all Bluetooth-enabled devices (For Bluetooth V2.1 and over) or media devices with 3.5mm AUX port. Such as for Android, iPhone, iPad, tablets, smartphones, iPods, MP3, MP4, radio players. Built-in 1800 mAh Triple Protection Rechargeable Li-Polymer battery guarantees 4-10 hours playtime and the durability of the battery. Recharge in just 3-4 hours. Built-in microphone for hands-free speaker phone calling. Easy to pair. No code/pin needed. Implemented with 10W total acoustic drivers and enhanced with 1mm passive radiator, made impressive sounds deeper and wider, louder volume and richer Bass. esign, easy to carry along anywhere you travel. 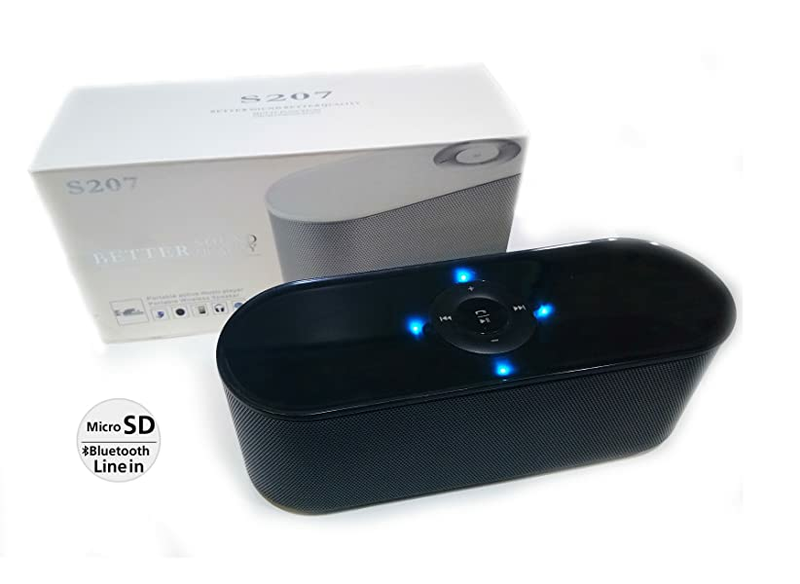 Supports speakerphone, Built in Microphone, to bring clear call for you,it is perfect either with single or multiplayer for phone call or video chat.Simple and easy to operate key design through 10000 to touch test, wear non-slip,temperature,long service life. Pure music, perfect to enjoy, high fidelity sound, stereo speakers, built-in resonance radiator device, equipped with high efficiency power amplifier, super low frequency dynamic bass-rich,flexible, achieve a more shocking extremely super bass effect. lasting power long battery life two power modes, built-in lithium secondary medium volume with 8 hours of playback capability, suitable for any occasion.